In 2012, politics are all about spreading lies and making money. And we're not talking nickels and dimes. Campaigns and Super PACs are raising billions of dollars to win over voters. A large chunk of that money ends up in the pockets of local broadcasters who are selling off the airwaves to place political ads. And way too many of these ads are dishonest. If you're a television viewer in a battleground market that means having to endure a relentless stream of misinformation. Best estimates are that more than half a million political ads will air nationwide by Election Day. And what are broadcasters giving viewers in return? Next to nothing. 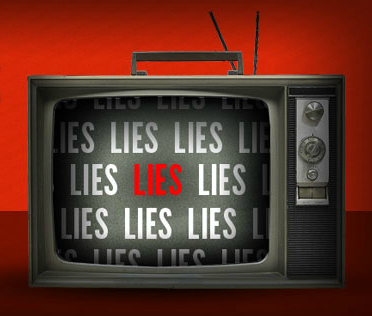 They have done virtually no fact-checking of the claims made in political ads. Free Press has surveyed local coverage in Charlotte, Cleveland, Denver, Las Vegas, Milwaukee and Tampa. We found that even in these key battleground markets where ad spending is highest, local stations generally fail to fact-check ads. There have been a few exceptions -- but even in those cases, stations have continued to run ads their own reporters identified as deceptive. Denver stations, for example, did better than most others in fact-checking ads -- and they have earned some praise for this in the media. But the occasional fact-checking segment doesn't begin to counter the deluge of misleading ads. We found that local stations aired 162 minutes of political ads from the top five third-party groups for every minute of related news coverage. Denver Channel 9 News (KUSA) political reporter Brandon Rittiman devoted two and a half minutes during an Aug. 31 newscast to "truth testing" an ad from the pro-Romney Super PAC Restore Our Future. Rittiman called one of the ad's claims an "overstatement" and labeled another "misleading." Yet in the weeks before his report aired, KUSA broadcast more than 200 Restore Our Future ads. And since the Rittiman segment aired, the station has signed a contract with the Super PAC to air 92 more political ads in October. The situation is even worse in Las Vegas, where more political ads have been broadcast than anywhere else in the country. Stations are now cutting time out of local newscasts just so they can fit more of these toxic ads into the half hour. In their defense, stations are legally obligated to run ads from candidates regardless of whether those ads are true or not. But they are under no such obligation to air ads from Super PACs and other third-party groups -- and nearly half the ads they've aired this year have come from these outside organizations. According to a recent Pew survey, Americans list local television as their main source of political news and information. It's for this reason that Super PACs and other third-party groups are spending most of their cash on local TV spots. They are able to create deceptive ads precisely because they operate in secrecy. Lax rules enable wealthy individuals and corporations to contribute millions of dollars to these groups without restrictions. And while Super PACs are required to disclose individuals' contributions, they go to considerable lengths to insulate their donors from scrutiny. Meanwhile, the (c)(4) groups -- named after Section 501(c)(4) in the IRS code, which grants them tax-exempt status -- are not legally required to disclose their donors' identities. As such, these groups are a popular vehicle for contributions from people who don't want their names associated with ads that are frequently nasty or dishonest. One way to fix America's broken election finance system is to expose the moneyed interests that pull the levers of political influence. Once donors' identities are known, we can make these individuals account for the falsehoods in their ads. With Election Day fast approaching, cash-rich stations need to give back to viewers, too. They can start by holding political groups accountable for misleading ads.